Hi everyone. Wow, was that an unintentional blogging break. Where on earth as April, May, June and half of July gone?!! I thought I’d mention, I have posted two new pages to this blog. 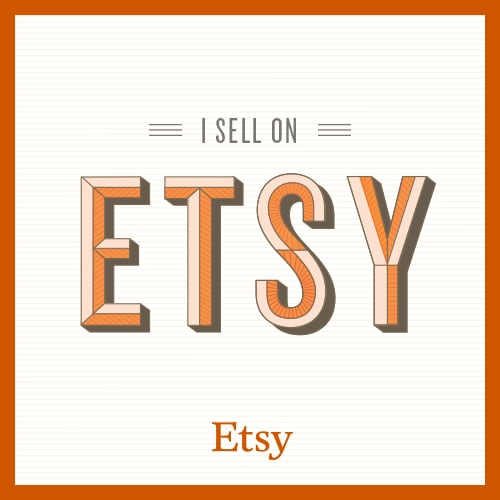 One is about my Etsy store and why I started it (including added info regarding my mental health if you’re interested) and the other is some pictures and short notes about my spinning wheels. Yup. I was trying to sew in that. Yeah, it wasn’t happening. I had to move a ton of stuff just to fold out my sewing table. This of course wasn’t helping with stocking my Etsy store with new items or even helping my handmade wardrobe. There, that’s much better. I have clear floor for cutting out fabric, only have to move one box to fold out my sewing table, and space to store my two vintage spinning wheels. I’m feeling much happier and freer in this cleared out space and raring to start sewing again. Motivation. It’s a slippery little sucker. One minute it’s there and you’re bouncing through the world on a mission, the next it’s gone and you’re slumped on the couch stuffing your face with dark chocolate, unable to even pick up your knitting needles. This is pretty much i.e. an accurate description of, what my life has been like lately. I have barely the energy to get myself out of bed, let alone jump into all those goals I set myself at the start of the year. My eating has gone down the tubes despite my taking the plunge and signing up for a 6-month contract with Weight Watchers. I now weigh more now than my weigh-in at my first meeting. 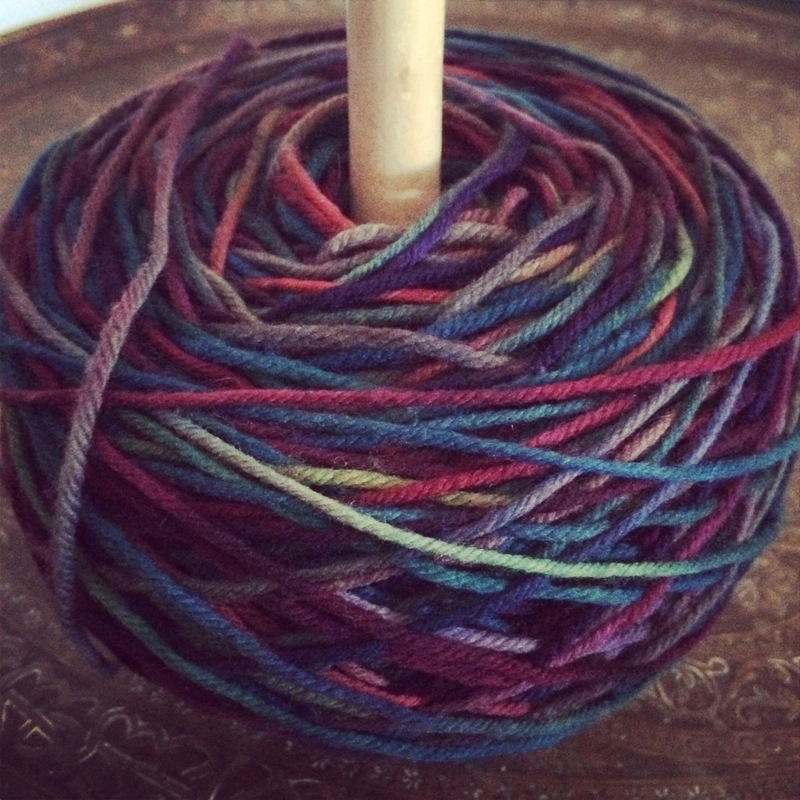 My knit from stash and not purchase new yarn goal has gone by the wayside also, although not to the same extent as my poor eating habits. I have not done any gardening since my last post on it. I have not planted any food even though I have some seeds waiting and some potting mix that has not even been put into the planter boxes. My house is a pig-sty. With probably more stuff in it than when I wrote the post on a simplified household. Cross stitch? Sewing? What even are these? I have decided though, that despite all the above negatives I will be positive. Instead of focusing on what I have not done, I am looking towards what I want to achieve and how I can get there. Here’s to future posts about my accomplishments rather than my failures. How do you keep motivation flowing? 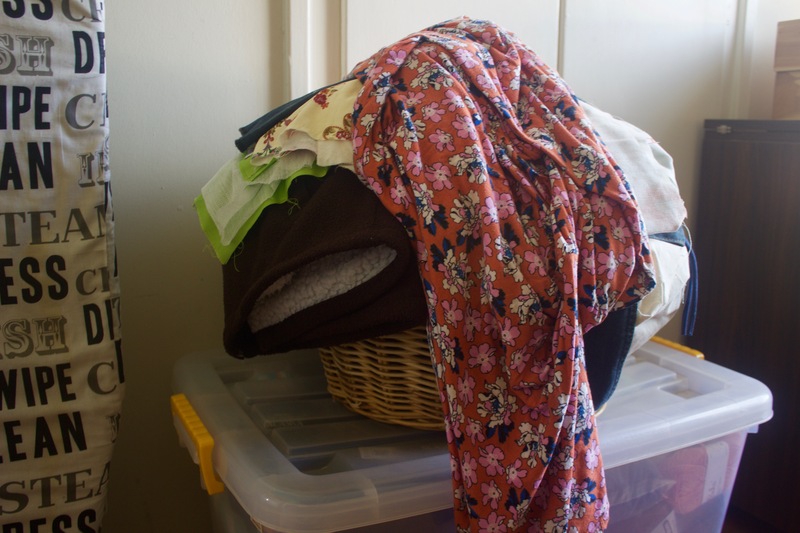 DECLUTTER – Get rid of stuff. Donate it, sell it, whatever, I don’t want it around anymore. Most of the stuff in the garage we don’t even know what’s there nor has it seen the light of day since we moved in February 2014. My husband is a complete pack-rat so I’m going to have to step delicately in a few areas. We rent so we never know when our lease is not going to be renewed (we’ve had two rentals sold out from under us in the last four years!) and if we have to move again, I don’t want to have to take all that we currently own with us. I want our home to be neat, easy to clean and a joyful, peaceful place to be. Not surrounded by stuff that feels like it’s closing in on you and makes it difficult to clean as you have to move everything just to clean it. Is decluttering on your list of things to do this year?